This past week I supercharged my presentation by presentweeting. What’s that you ask? Keep reading to find out. For those of you who are dubious of twitter (as I was), I’m hopeful this article will give you a reason to reconsider. For a few years now, I have been playing around with social media Web 2.0 tools to see how I might be able to use these tools to enhance my presentations and training workshops. 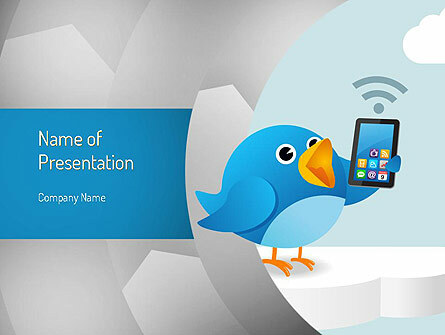 In today’s article I’ll talk about “presentweeting” which is short for presentation-based tweeting or using Twitter to enhance your presentations. It all started when I began noticing more and more clicking noises during presentations. At first, I wrongly assumed audience members were responding to email while listening to me, but then I eventually realized they were taking notes on their laptops. Since I rarely provide handouts of the slides ahead of time, attendees almost always take notes during my sessions. Research supports that taking notes requires attention to be more focused than it would be when simply listening to a speaker (Piolat, Olive, & Kellogg, 2004). Also, research suggests note taking helps with recall. So, my dirty little secret is out, I don’t give handouts ahead of time because it encourages people to listen more closely. My newest social media modification is to encourage the attendees to use Twitter for their note taking. As you likely already know, Twitter only allows 140 characters per tweet. That forces note takers to very concisely summarize the content, which is again a benefit. According to researchers, summarization helps boost the retention. And there’s the added benefit of collaboration. Today, audiences want to be part of the presentation; they expect to be able to participate. By encouraging the use of Twitter, participants who want to be part of the conversation can add their own examples, ask questions, or provide links to additional related information. When presentweeting (again, that’s my word for presentation tweeting) I recommend appending two twitter hashtags: one general one that applies to the broad area and one specific to the presentation or conference. (By the way hashtags are just the hash (#) symbol followed by a word/acronym and they are used to group related tweets.) That way, even folks who are not on Twitter (or who are not following you) can view–at a minimum–the conversation using a tool like Twitterfall, Twubs, or VisibleTweets. Twubs is my favorite (and no they are not a sponsor, but maybe they should be) because you can moderate the posts, do live event streaming and, participants can easily tweet video, photos, and text. Nice! The most obvious way to supercharge a presentation is to tweet links to relevant additional materials. The biggest problem I had was that it was difficult for me, as the presenter, to directly participate in the backchannel conversation. So, I started using a partner to enter my tweets and to monitor the conversation. I would simply identify an organizer to work along with me and they would act as my proxy. Unfortunately, at times that was a difficult task depending on the technical skill of the person I asked. So last week I experimented with Keynote Tweet. (I chose this because I have a MacBook, but similar functionality is also available on PC.) This simple applescript allowed me to place tweets in the notes section of my presentation and then when I was playing that particular slide, the application would automatically post my pre-written twitter messages and append the hashtag. Like my previous manual tweets, I was able to use this functionality for a variety of purposes–which I believe significantly enhances presentations. By actively participating in the conversation, I was able to guide the conversation. In addition, since people are able to listen and process faster than I can speak, the added information gave younger multi-tasking audiences something else to do that was directly related to the topic. [[AdMiddle]Of course the most obvious way to supercharge a presentation is to tweet links to relevant additional materials. So when I mentioned that they could learn more details about storytelling, I tweeted a link to an article about storytelling. When I mentioned Ira Glass and his show This American Life, I could tweet links to clips on YouTube of him talking about storytelling and also tweet a link to the podcast of his show. When I mentioned that I had created a tool to determine how fast you speak, I then provided a link to that tool, again via the automated pre-written tweets that I had embedded in the notes section of my presentation. The main advantage of presentweeting is that it allows you and your audience to add extra in-depth content to the presentation. During the seminar, in-person attendees were doing group activities, and I took advantage of the pre-written tweets to engage the online participants in similar activities. For example, as in-person attendees were introducing themselves, so were online participants. Some in-room folks even interacted with online folks. Activity debriefing occurred in a similar fashion. Groups were asked to post their summaries, which facilitated both collaboration and recording. Specific breaks in the program were created for this type of interaction. Interestingly, some of my twitter followers who were not directly involved in this training also jumped in and participated in some of the activities. So by accident, I expanded the reach of the training. By the way, my twitter followers did jump up, I believe, as a direct result of the increased tweeting frequency and increased perceived value of the tweets. Next time my goal will be to increase the depth of the content and try to expand the reach of the program through more retweets. To do that I plan to follow the advice I once read on Mashable. I plan to add in more lists, more freebies, more video, and more specific calls to action (as in: “please ReTweet”). I am also planning on experimenting by adding in more related humor and quotes. I’m also itching to try the eight really cool free Twitter tools created by Timo Elliot – things like voting, autotweeting, and twitter feedback slides. This entry was posted in presentation tips, twitter and tagged presentation, twitter on January 15, 2014 by pptstar.